Someone at Yahoo! Answers wrote that they are suspecting scammers from other parts of the world are using “Nigeria” or South African country names to divert suspicions. We think that this is the worst plan of all because no one (experienced enough) would believe in any “too-good-to-be-true” deals from South Africa or Nigeria. In any case, the scammer has to divert their potential victims to South African countries because their bank accounts are there. We cannot find any simpler reasons other than this. And given a choice, the scammers would not even want to transact in these countries. In this particular scam, the header starts with an “entity” in London UK, and quickly diverted to the “South Africa” office when it comes to dealings. With pleasure The International Lottery, organizers of the UK Online sweepstakes promo, Euro millions, Daily Play, Thunder ball, Lotto Hot picks and Lotto Extra announce to you the result of draw #1154 of the UK Lottery sweepstakes online International Program held on the 9nd of May 2007 in United Kingdom. This subsequently won you one of the lucky dip prizes. You have therefore been approved to claim a total sum of £420,000.00 (Four Hundred and Twenty Thousand British Pounds Sterling) in cash credited to file KTU/9023118308/07. This is from a total cash prize of £8,400,000.00 (Eight Million Four Hundred Thousand British Pounds Sterling), shared amongst the Twenty (20) International lucky winners in this category. All participants for the online version were selected randomly from the World Wide Web through a computer draw system and extracted from over 1,000,000 unions, associations, and corporate bodies email addresses that are listed online. Please note that your lucky winning number falls within our African booklet representative office in South Africa as indicated in your play coupon. In view of this, your (£420,000.00) Four Hundred and Twenty Thousand British Pounds Sterling would be released to you by our paying office in South Africa as soon as you are in contact with your claims agent. This Lottery is approved by the British Gaming Board and also licensed by The International Association of Gaming Regulators (IAGR). Our African agent will immediately commence the process to facilitate the release of your funds as soon as you contact him. For security reasons, you are advised to keep your winning information confidential till your claim is processed and your money remitted to you in whatever manner you deem fit to claim your prize. This is part of our precautionary measure to avoid double claiming and unwarranted abuse of this program. Please be warned!!! NOTE: All winnings must be claimed within 20 days from today. After this date all unclaimed funds would be included in the next stake. Remember to quote your reference information in all correspondence with your claims agent. Thank you for being part of our promotional sweepstakes program. Once again congratulations from the entire staff of the U.K INTERNATIONAL LOTTERY COMMISSION. All rights reserved. Terms of Service -Guidelines. 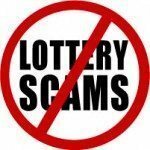 You have won $3.5million dollars in a scam promotion!